I like to end my morning walk by stepping in dog poop and not telling my mom until we’re already inside. Posted October 3rd, 2013 . Love your name Lucky,,,, goes beautifully with that gorgeous face! 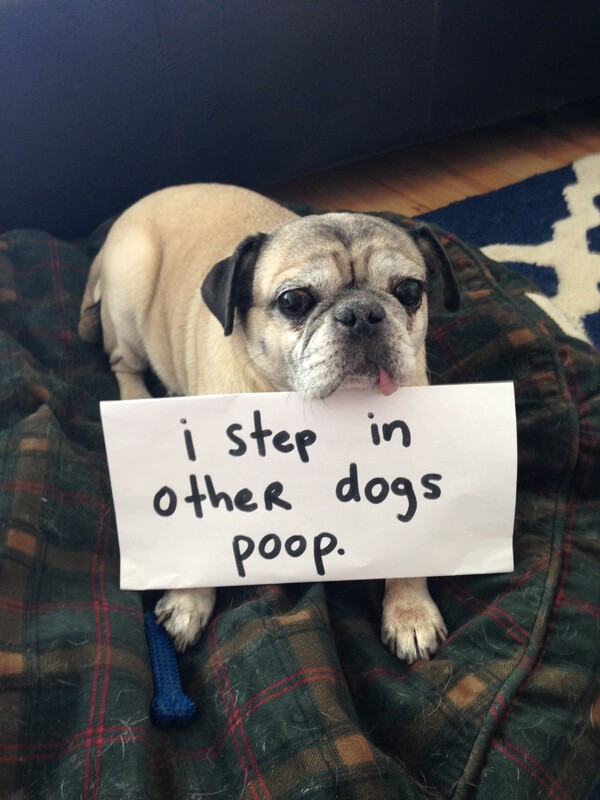 My pug does that too! Now roll up the extra licker meat hanging out ! That’s a cute pug! Looks like an old boy. Seniors are awesome.